Laser hair removal is a very common hair removal technique in the United States. Laser hair removal uses highly concentrated beams of light in order to get rid of unwanted hair. This light is beamed right into the hair follicles. The hair follicle absorbs the light, which destroys the hair. Laser hair removal is very good at removing unwanted hair and is most often performed on the face, arms, bikini area and legs. Lasers can be very accurate and can select only the coarse, dark hairs while leaving the surrounding hairs untouched. Laser hair removal is very fast, with each pulse lasting less than a second. The laser treats approximately the area of a quarter every second which allows small areas like lip to be treated within a minute. Larger areas including the back and legs can take up to an hour. Laser hair removal allows over 80% of patients to have permanent hair loss after three to five sessions. 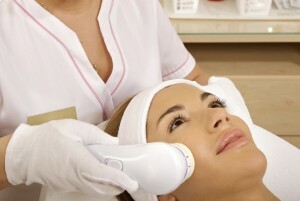 The cost of laser hair removal varies from patient to patient. The cost of the treatment is usually determined by the experience of the technician and the location of the clinic. The cost is also based on the number of treatments required and the scope of the body that is being treated. It is important to thoroughly check the credentials and reputation of the doctor or technician performing the laser hair removal. Before having the procedure done you should go for a consultation to get a better idea of the total costs involved. The average cost for laser hair removal is $240 per session. Laser hair removal is a medical procedure that requires skilled training to perform. Six weeks before laser hair removal other hair removal treatments should be avoided. This includes avoiding waxing, plucking and electrolysis. Sun exposure should also be avoided because it can also increase one’s chances of complications due to treatment. Prior to the procedure your hair will be cut very close to the skin’s surface in order to make the procedure easier to perform. The laser equipment will be set to the best preferences according to the thickness, coarseness, location and color of the hair being treated. The laser equipment is adjusted to meet the needs of your skin tone. It is also necessary to wear eye protection to shield your eyes from the laser. The skin will be covered with a cold gel to help the laser penetrate the skin. The technician will give a pulse of light to the area undergoing treatment and will watch carefully to ensure it is on the best settings. After the treatment is completed, anti-inflammatory creams are given in order to alleviate discomfort. Ice packs and cold water can also help to ease the redness and swelling from the procedure. Treatments are generally scheduled within four to six weeks of each other and continue until the hair ceases to grow. The treated area of your skin will look and feel like it has been sunburned for up to two days afterwards. Cold compresses and approved moisturizers may help. Some people may experience blisters, swelling, redness and scarring. Permanent scarring and changes in skin color are rare. If the face was treated you can wear skin cream and makeup as long as the skin is not broken or blistering. Over the next few weeks the treated hair will fall out. Wearing sunscreen may help to prevent changes in the color of treated skin for the next month. Skin will return to normal within a week of treatment. Laser hair removal is not a permanent procedure initially, so to get desired results may take three to five visits. Visits are usually scheduled four to six weeks apart, which allows the skin to heal after treatment. If you experience any out of the ordinary adverse reactions including itching, burning and blistering it is important to contact your doctor to schedule an appointment.